A new NASA mission, the Neutron Star Interior Composition Explorer (NICER), is headed for the International Space Station next month to observe one of the strangest observable objects in the universe. Launching aboard SpaceX's CRS-11 commercial resupply mission, NICER will be installed aboard the orbiting laboratory as the first mission dedicated to studying neutron stars, a type of collapsed star that is so dense scientists are unsure how matter behaves deep inside it. In this photo, NICER's X-ray concentrator optics are inspected under a black light for dust and foreign object debris that could impair functionality once in space. The payload's 56 mirror assemblies concentrate X-rays onto silicon detectors to gather data that will probe the interior makeup of neutron stars, including those that appear to flash regularly, called pulsars. The Neutron star Interior Composition Explorer (NICER) is a NASA Explorer Mission of Opportunity dedicated to studying the extraordinary environments—strong gravity, ultra-dense matter, and the most powerful magnetic fields in the universe—embodied by neutron stars. An attached payload aboard the International Space Station, NICER will deploy an instrument with unique capabilities for timing and spectroscopy of fast X-ray brightness fluctuations. 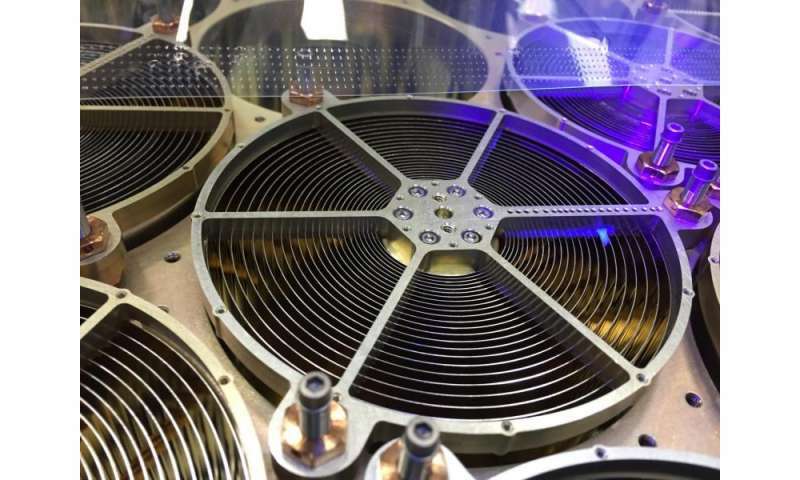 The embedded Station Explorer for X-ray Timing and Navigation Technology demonstration (SEXTANT) will use NICER data to validate, for the first time in space, technology that exploits pulsars as natural navigation beacons.